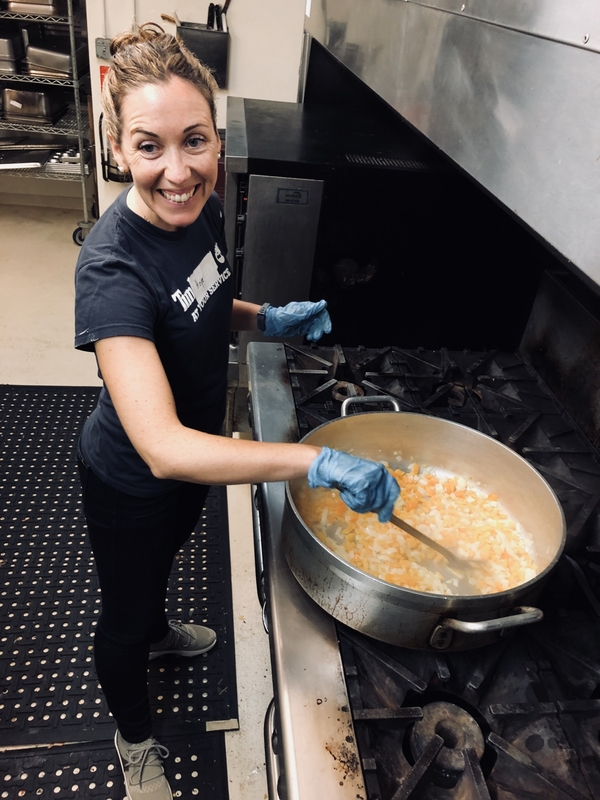 Timberland’s Global Leadership Team recently cooked and served dinner to 75 residents of Cross Roads House, non-profit organization that supports community members who are experiencing – or have recently experienced -- homelessness. 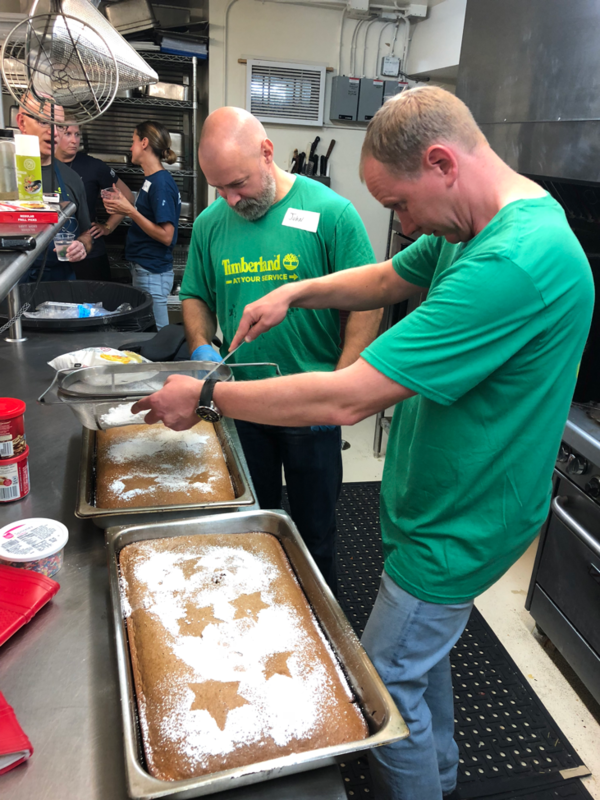 The team, which had convened at the outdoor lifestyle brand’s global headquarters in Stratham NH for a strategy meeting, dedicated the afternoon to serve the local community together. 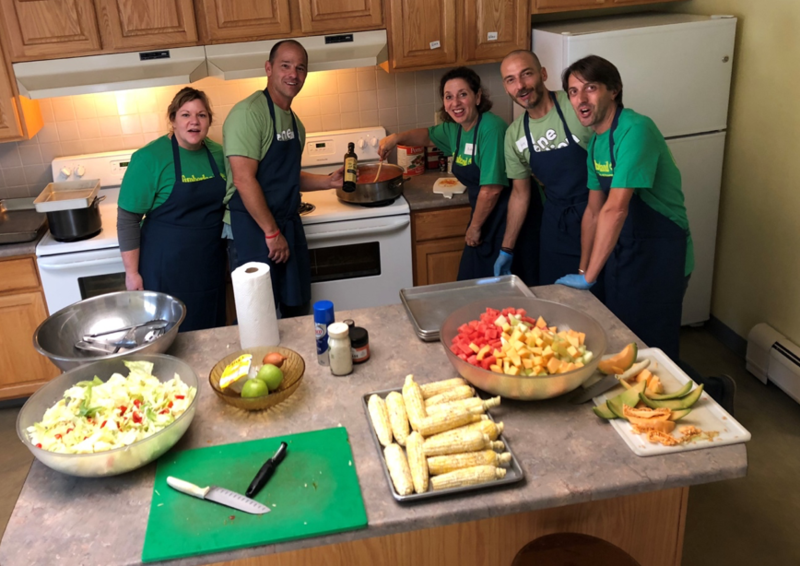 While the global leaders collaborate year-round to drive Timberland’s business, this was the first time they had worked together in a kitchen, to cook a meal for 75 people. The menu included chicken cacciatore, rice, baked zucchini and summer squash, tossed salad, corn on the cob, and a fruit salad -- with baked chicken wings and French fries for kids. The leaders also worked together to make and decorate a cake. Cross Roads House provides emergency and transitional shelter to homeless men, women, and children in the Seacoast area. The organization provides families and individuals with basic necessities, as well as the tools and guidance they need to return to permanent housing. Since 1992, Timberland has offered employees paid time to serve the community. Employees receive up to 40 paid community service hours each year through the brand’s Path of Service™ program. Employees are welcome to join company-sponsored service days or to serve either individually or in smaller teams in ways that speak to their own passions. For more information about Timberland’s efforts to create responsible products, protect and restore the outdoors, and serve communities worldwide, visit https://www.timberland.com/responsibility.html.